Learn how to work with mesh chain. 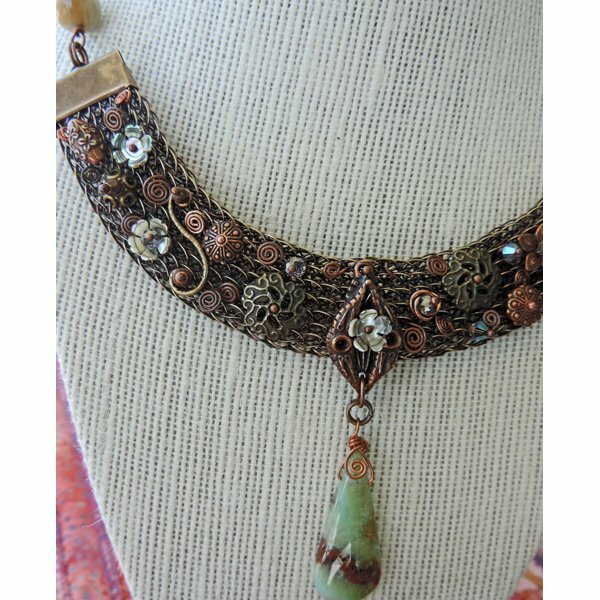 Create a variety of components to embellish the mesh with beads, findings & coils using ball headpins and thin gauge wire. Let your imagination fly with contrasts and textures! Please call the shop to schedule this class. Patricia may offer more than one class on her teaching days--the first two students to register determine the projects taught on a given day.